Giant mosquitoes, about the size of a large dog. Why mosquitoes you ask? Well in the movie’s opening an alien spaceship crashes to Earth in a body of water, a generic alien hand (complete with suction cup fingers) hangs out of the open door where a mosquito lands on it. So alien blood makes mosquitoes giant? I guess so, the movie doesn’t really get into it and the aliens don’t really come back into play in any way. Eh. This movie isn’t written or acted well and if it was made in 2002 or so it would be nigh-unwatchable bargain bin trash. But since it was 1994 and computer graphics were the more expensive route the movie boasts some pretty solid practical effects. 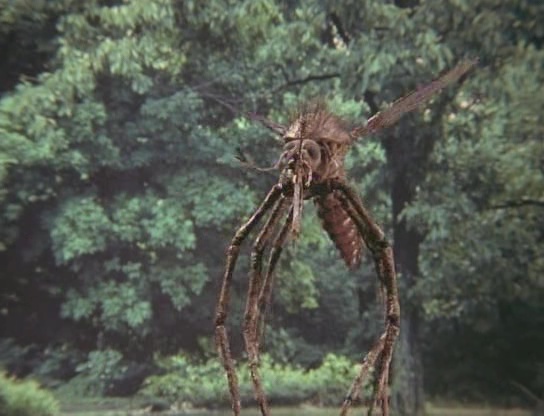 The mosquito puppets look really good for a movie of this caliber and they have an almost H.R. Gieger quality to them. The gore effects are a lot more cartoony but that adds a layer of fun to the movie. 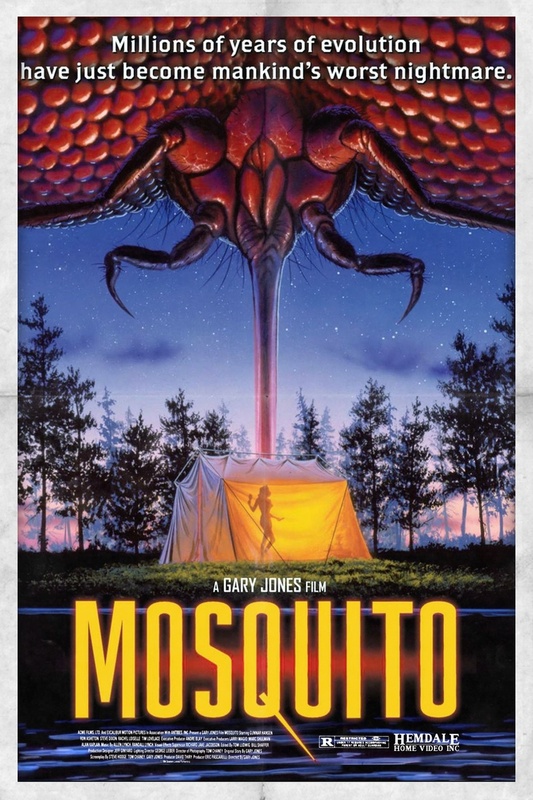 The most memorably kill of the movie involves a man’s eyeballs popping out of his head and exploding as one of the mosquitos drain him and it’s so over-the-top silly looking that the Sci-Fi channel didn’t even feel the need to cut it back in the late 90s when I caught this movie as a kid. Oh, also Gunnar Hansen (the original Leatherface) is in this movie and for a good chunk of the finale wields a chainsaw. So there’s that. Amazingly this movie is out on a pretty well-curated blu-ray but I’d say it’s a watch for most people.